Rose Roofing has been repairing roofs across Charlotte North Carolina and surrounding areas for over 25 years! Owning your home should come with knowing that you and your loved ones are safe from the elements of nature. Our roofing contractors will leave no stone unturned. We conduct every job with a meticulously detailed process. 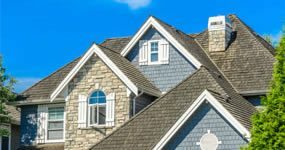 Rose Roofing was first established with the goal in mind of becoming the most sought after roofing contractor in the Charlotte, NC area by providing top-quality service at reasonable prices. As a family-owned, fully licensed and insured company, we operate our business based on many of the lessons we learned as a family. The primary lesson was to always treat others the way you would want to be treated. We also were taught to take personal responsibility in all you do. So, our founder, Larry Rose, is always on each job to ensure that you receive the best service possible. And he is available should you have any questions about your new shingle roof or roof repair. Our way of doing business, with an accent on honesty and integrity, has helped us earn an A+ rating from the Better Business Bureau and the “Super Service Award” from Angie’s List 8 years in a row. Since much of our new business comes to us through this kind of word-of-mouth advertising, we always make it a point to approach each new roofing job with the same attention to quality that we hope will gain us yet another positive reference. 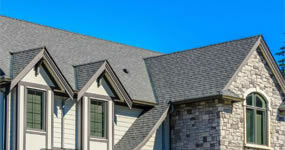 Once you have researched other contractors, we are confident you will select the experts who have been roofing Charlotte NC areas for years at Rose Roofing and join your local neighbors who know we are the region’s leaders in shingle and flat roofing installation and repairs. Contact us today for a free estimate.